Home > Blog > Meg always finds something to carry…. Meg always finds something to carry…. A lovely walk today around Mugdock Country Park with Holly and Ivy, Laddie and Meg, new girl Zola and Pepsi. 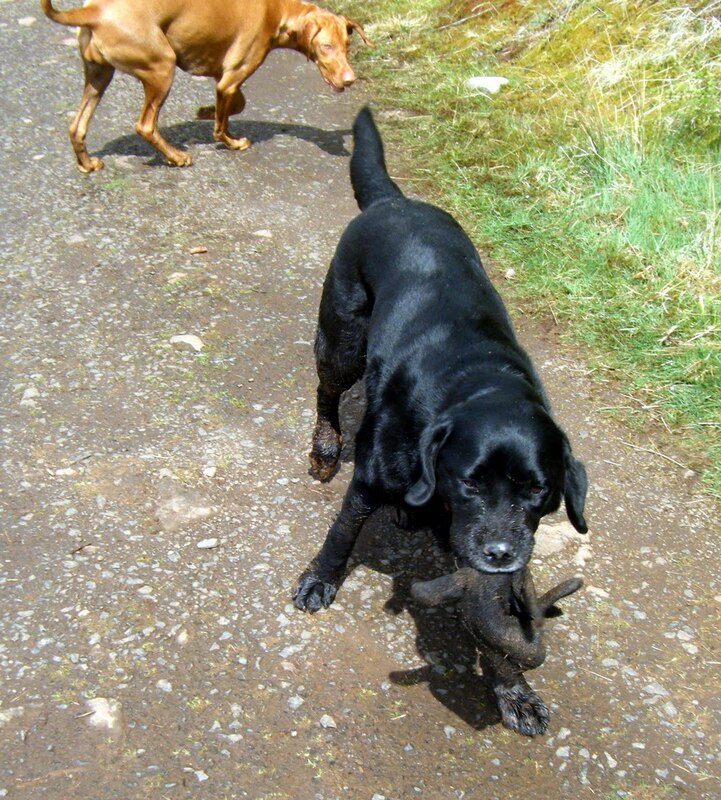 Practically every walk that we go on, Meg (the black Lab in the picture) will find something to carry. It has been hair bobbles, socks, pram toys, but the favourite is definitely gloves! She finds them near the start of the walk, and will carry them with her the whole way, dropping it when the van is in sight – very funny! I think that she must plank them somewhere that she will remember, so that she can find them again the next time we do that walk! Every day I wait to see what today’s will be! !